Today’s world is an internet-savvy world. So the number of people who are using the internet is vast. A huge amount of data is being produced every day. This all data contributes to big data. Big data is valuable because it helps businesses to make smarter and better decisions. In the field of big data, the main concern is over the data security and the integrity of data. Blockchain technology is likely to reshape the world of big data. A lot of information prevails in a digitized form. If we talk about medicines and healthcare areas, they have a colossal of crucial data as it is related to the patient’s health. Here, Blockchain is powerful enough because it forms a decentralized database that means no third party, person or any company controls data entry or its integrity. The technology ensures the integrity and sanctity of data. Suitably, all the records under blockchain are secure and verified constantly by every node which is a computer on the network. Blockchain is a decentralized ledger which is capable enough to store huge medical data in a decentralized manner rather than storing on some central server only. If the sensitive health data of hospitals are poorly managed, then it can increase the risk for a patient. With it, there will be an improper and incorrect diagnosis or treatment. This further leads to corrupted test results. The one major trouble is that the treatment journey of a patient having two touchpoints could have different datasets for the same individual. The innovative decentralized technology handles these datasets and creates an unchangeable resource. Storing healthcare-related databases on the decentralized ledger will create immutable and tamper-proof records that cannot be changed. The best advantage of the technology in big data is security. So the data handled by blockchain prevents hacking and data leaks. In healthcare sectors, a doctor might need multiple signatures or permissions from other parts which are under the network to access patient data on blockchain. With Blockchain tech, multiple signatures are sought at every single stage to access patient data. This will protect the patient records from any kind of theft. 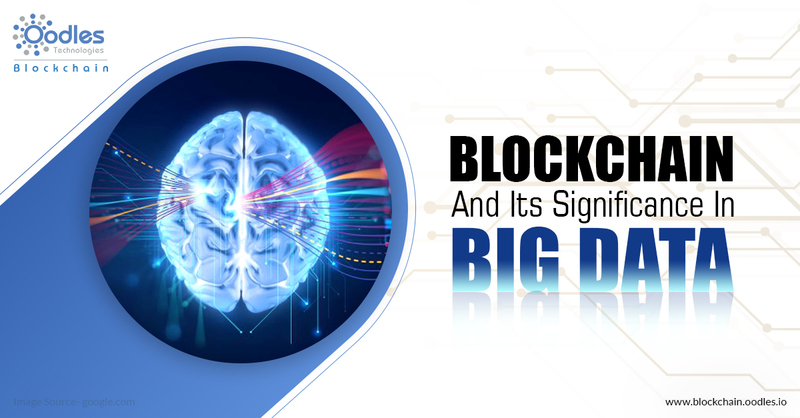 Blockchain-based system improves transparency in data analytics to a large extent. It will not verify any data entry or input if it is viewed as dubious. Therefore, analysts in industries such as Retail only deal with data that is completely transparent. Ultimately, the customer behavior patterns identified by blockchain systems are likely to be a whole lot more accurate than it is today. To end up, even big data analytics can do much for the records saved on blockchain ledger. As per predictions, the data kept under the blockchain is worth trillions of dollars because it is steadily moving into banking, micropayments, remittances, and other financial services. Thus, analytics tools can be used to uncover the patterns that can maximize profits and help companies to make smarter decisions.